In a wrinkle care article published by Consumer Health Digest titled, “Does Sleeping Really Cause Wrinkles?” the question is posed, and answered, but the solution is not provided. That’s my job! I couldn’t agree more on all fronts. In fact, this is precisely why I invented the Back to Beauty Anti-Wrinkle Head Cradle beauty sleep pillow. 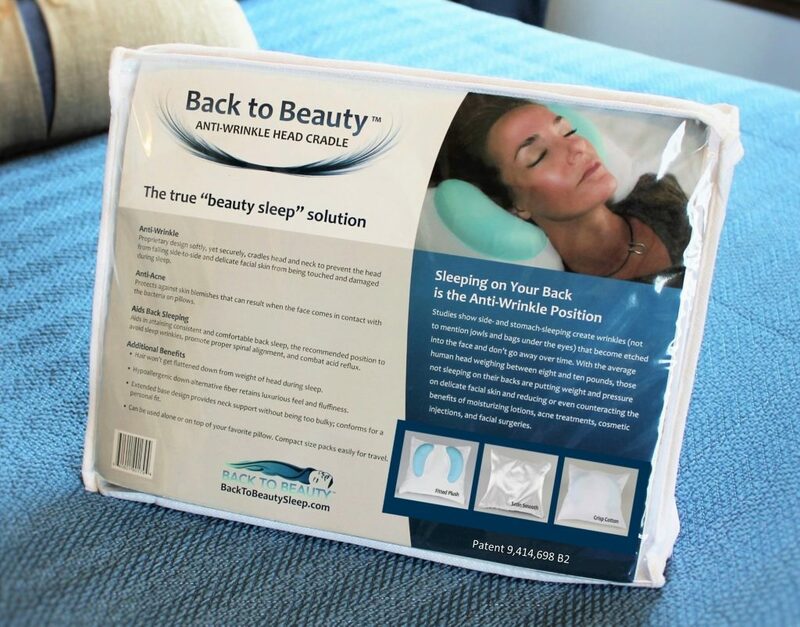 With a patented design that doesn’t just focus on anti-aging wrinkle prevention, the Back to Beauty back-sleeping pillow addresses the difficulties and discomforts of back sleeping. The unique crescents at the top of the base, cradle the head, allowing you to feel secure without putting any weight on your face. The extended length of the cradle base, beneath the crescents, also offers important and comforting neck support. Back to Beauty is a truly unique and versatile form-fitting head cradle that aids in consistent back sleeping, and trains those new to back sleeping, to keep pressure off of, or anything touching, your facial skin during sleep. With an understanding and respect that everyone is different, Back to Beauty’s wrinkle and acne-fighting patented design, with compact-cradle size, and fluffy hypoallergenic down-alternative fiber, was created specifically to enable use in various positions – allowing you to find your personal comfort zone. Back to Beauty is foam free, and won’t compress to get hard and hot like foam mold pillows can, and retains a full and luxurious feel that supports the neck and stabilizes the head to provide true beauty sleep.